Words with Friends and Lucky's Tale creator Paul Bettner explains how he's preparing his studio for the future of entertainment. Pokemon recently earned a reputation for the biggest media franchise in the world, beating out powerhouses like Star Wars, Mickey Mouse, and Marvel properties in terms of revenue. Currently, the fact that the biggest property on the planet comes from gaming feels like an exception, but Pokemon may very well be a trendsetter when it comes to entertainment culture. 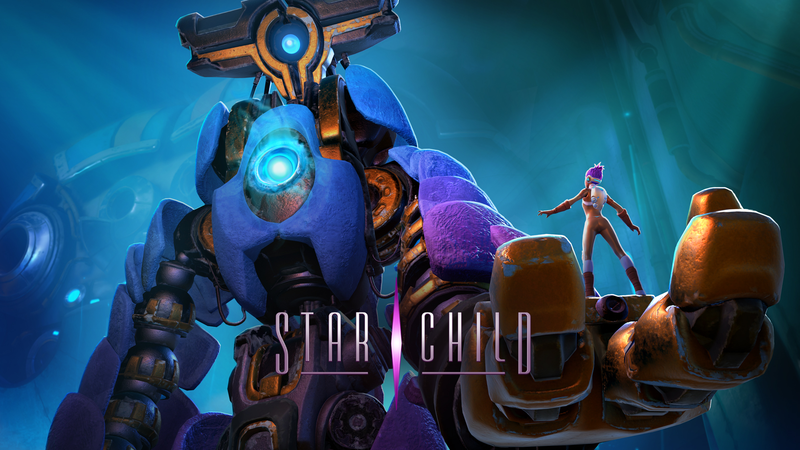 People are gravitating towards games more and more, and Playful CEO Paul Bettner envisions a day when games are easily producing the most popular franchises around. “When we look at the IP that's most valuable today, we can see that it came from TV shows, comic books, novels, film. There's no way that the most valuable IP 10 years from now doesn't come from video games because it's where everybody's eyeballs are,” the co-creator of Words with Friends told me. “When you think about what the next Iron Man is going to be and really at that level of cultural penetration, that level of cultural awareness, it's going to be video game characters 10 years from now. It’s this kind of savvy, entrepreneurial thinking that has afforded Bettner much success during his career. Where most studios are somewhat risk averse, especially when it comes to launching new properties, Bettner thoroughly enjoys taking calculated risks. He’s made it a habit of creating new things on new platforms, whether that’s mobile, virtual reality, or likely coming soon, augmented reality. It’s as if he took the late ‘90s Apple slogan, “Think Different,” to heart. 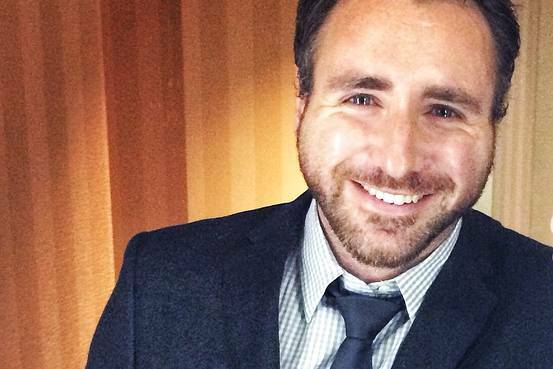 “When I left triple-A gaming to go do mobile gaming, all of my peers and colleagues were like, 'What? You want to go make ringtone games?' Because it was right when the iPhone had launched and the App Store wasn't even out yet,” said Bettner, who spent 11 years at Ensemble Studios before co-founding Newtoy with his brother David (who now sits on Playful's board). Where others saw risk and an immature market, Bettner saw opportunity. 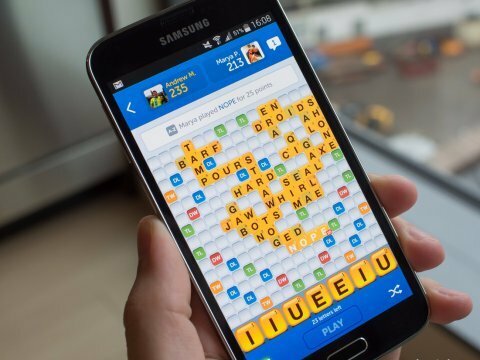 Words with Friends went on to become one of the most popular games in the US and the world. I think it's going to make the whole rest of my career just feel like a warmup for that moment because finally, those devices, when they do come out, will erase all barriers... You won't be viewing the content through a window. It'll just be all around you... and that's the end game for creating interactive entertainment. Bettner joked that he never thought to himself, “I can't want to make a word game,” but pursuing new paradigms in gaming has always excited him. 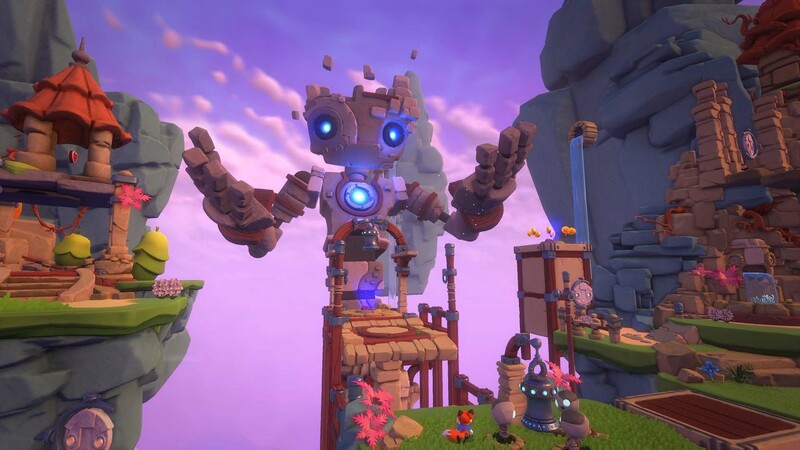 And he’s carried that mentality into Playful, which already has three properties -- Lucky’s Tale, Star Child, and Creativerse -- and more on the way. 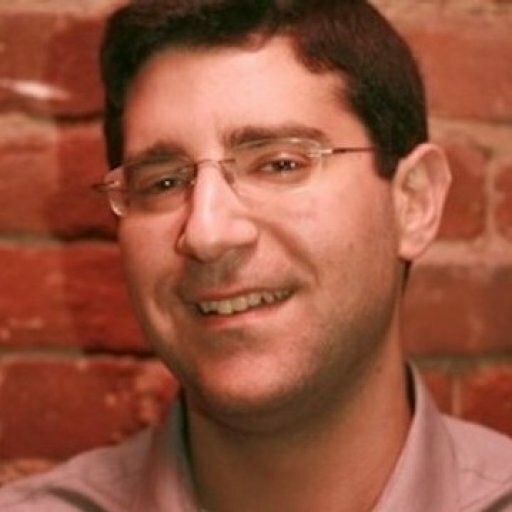 Bettner’s approach to mobile after starting up Newtoy is the perfect parallel for what he has done with VR at Playful. VR may not be where some analysts predicted, but mobile wasn’t a massive market right away either. “When we first started making VR games, it has actually been the same thing [as mobile] even though the progression there is slower,” he said. “But ultimately, what VR and specifically AR and mixed reality will become is exactly the same thing. It's the ability for us to reach an audience and it's kind of these barriers coming down basically. So when I think about the ultimate version of it, kind of like Magic Leap's dream of what they want to be, for instance, I think it's going to make the whole rest of my career just feel like a warmup for that moment because finally, those devices, when they do come out, will erase all barriers. “You won't be viewing the content through a window. It'll just be all around you. It'll be part of reality for you. There won't be an interface necessarily. It'll just be real physical kind of interactions that you're having with it and that's the end game for creating interactive entertainment. Last year, Playful brought on former PlayStation and GameStop executive Mark Stanley to accelerate its business and move the company towards its goal of becoming the “Disney of the next generation.” It’s clearly a bold ambition to have, but Bettner’s approach to the market and track record in the business make the mission feel slightly more realistic. Within the gaming sphere, some might liken Playful’s approach to Nintendo. Its properties are all family-friendly (Star Child skews slightly older but it’s still rated Teen) and Bettner acknowledged that every property is being drawn up with mass market potential in mind. Even the branding for the company was changed to fit within the larger mission. “I love that you brought up Nintendo… If you look at the original DS, when it was first announced and the industry was like, 'What the hell is this? Two screens and a stylus?’ Alone as a turned off piece of hardware, it doesn't look like it makes sense. Then I remember when Nintendo announced Nintendogs and people [saw how the experience came together]. Nintendo does this constantly. They create hardware that doesn't deserve to exist, if not for these unique software experiences and then, they create software that couldn't exist without the unique hardware platforms they create. Part of the renaming process also stemmed from the fact that games can still have a stigma, although that’s fading as generations of gamers are hitting their 40s and 50s now. “Video games are still a bad word, a little bit, in the western mentality. Again, another reason why we called the company Playful is because games is still associated at least in the United States too much with this idea of just goofing off and wasting time. But the word play doesn't have that problem,” Bettner explained. Creating playful things that reach that blue ocean is no easy feat, but the path that Bettner and his team take to achieve their goal will involve much more than games. Ultimately, entertainment is becoming about cohesive worlds that are entertaining and easily accessible regardless of location and platform. Transmedia is a buzzword that’s beginning to lose meaning. Fortnite is the perfect example of how barriers are coming down. The game is playable on just about any platform, it’s highly streamable, and has become a pop culture phenomenon. “You can see this evolution happening in other places, in film and TV and music. Those sort of distinctions between where the content lives, how you purchase it, how you collect it, all those things are becoming more fluid and I just think that the writing's on the wall,” Bettner remarked. “[We’re entering] this world where you don't necessarily have to think about the platform that you're experiencing a particular type of entertainment, that's the obvious step. But the place I'm taking it even further than that is, I don't even necessarily think that you're going to create too much of a distinction between the different venues in which you're experiencing a given piece of entertainment or IP. That’s the holy grail in terms of business, and Bettner sees a lot of companies and major platforms starting to invest heavily in the idea. He cited Xbox Game Pass and Microsoft’s investment in Twitch competitor Mixer as one example. “You kind of look at where that stuff can head and I think, that the world we're heading towards is one in which entertainment has less boundaries between different types of platforms that players can seamlessly slide between non-interactive and interactive experiences within the same IP and potentially, even within the same game experience,” he explained. What's happening is that the act of watching gaming is starting to take over people's passive time. “They can go from, 'I'm sitting back and watching someone else play.' Or I'm watching more of a story or a linear experience into, 'Well, I want to jump into this right now.' There's not this barrier of going and buying a game, installing it, purchasing it, going through all that. I just think those kinds of things are going to disappear, so I'm getting really excited about that. The Twitch and streaming revolution is just the tip of the iceberg. The companies that can anticipate and prepare for disruption are the ones that can not only survive, but thrive. Playful intends to be right there as the industry continues to transition. “Again, I just think about the way that players are behaving right now,” Bettner said. “One of the things that's happening that I think is so fascinating is obviously, people are spending a lot of time watching people play games. I don't think that's necessarily because people are gaming any less. What's happening is that the act of watching gaming is starting to take over people's passive time.